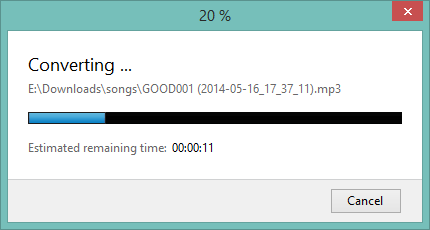 How to reduce file size after recording? 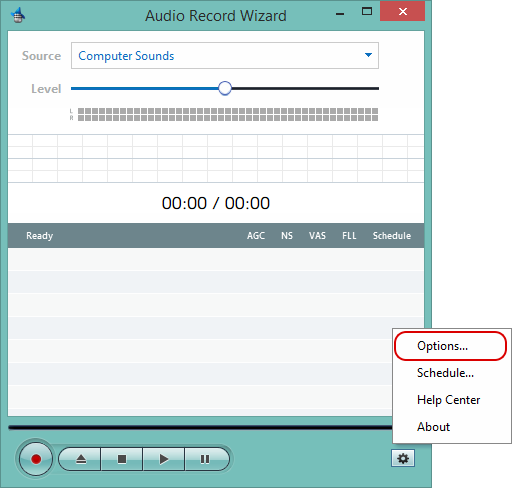 Audio Record Wizard has its own build-in audio converter. 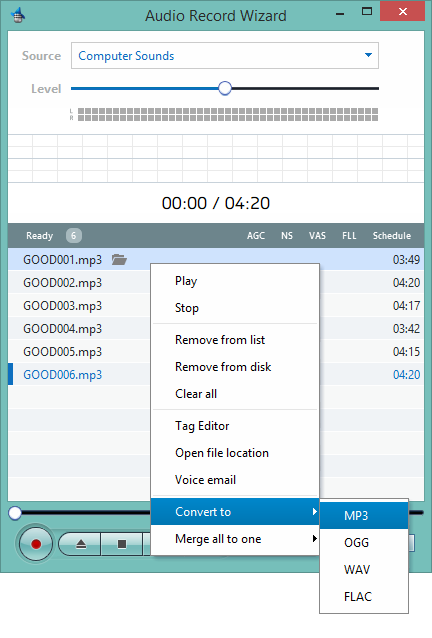 You can use it to convert audio files between MP3, OGG, WAV, FLAC audio formats. 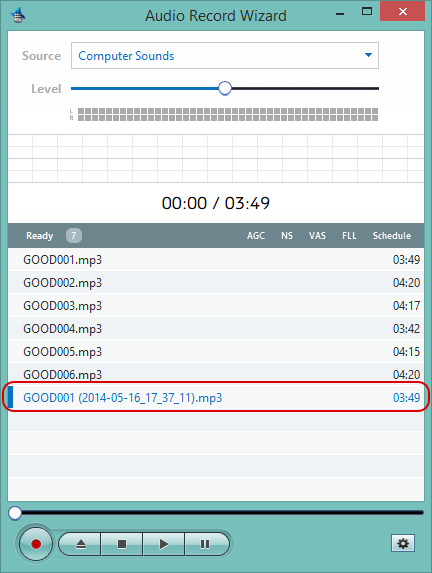 Also, you can use it to reduce file size of the recordings. The file size of recordings depends on file settings. If you would like to reduce file size, MP3 is a good choice. Then, you still need to adjust some settings. 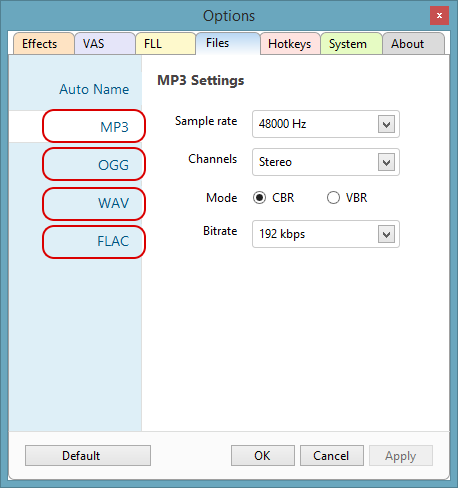 Then, the build-in audio converter will convert the recorded file with the selected settings. Then, You will get the converted file.